The fitness industry today is filled with myth and fallacies of performance training and optimization. One of the more prominent fallacies pertaining to cardio-vascular exercise is that if your heart rate is high and you are breathing heavy, it provides the necessary stimulus for it to be termed “cardio”. This fallacy is often taken advantage of by trainers promoting high intensity weight training with limited rest periods and a fast lifting tempo as cardio-vascular exercise. However, the physiological mechanisms of the heart and circulatory system of the body respond quite differently during typical resistance training, and this response ultimately limits the adaptations cardio-vascular training is supposed to stimulate. The physiology of the human body is far from simple. There is always a cardio-vascular response during any type of activity, but in order for an activity to qualify as “cardio-vascular,” it has to stimulate appropriate adaptations to the heart and circulatory system, and not all physical activities do this equally. These factors are what have motivated me to write this book. As an exercise physiologist with a specialty in weight training and cardio-vascular exercise, as well as being a performance consultant and educator of fitness professionals, I feel there is a need to provide physiologically correct information so that myths and fallacies can be eliminated from the fitness industry. This book is about providing truthful information so trainers and athletes can make the best possible choice in their training. If you, as a fitness instructor, personal trainer, or coach deliver accurate information founded in the scientific literature, you will not only create the best results, but your credibility as a professional will also skyrocket. If you want to change your physical appearance and performance level, or you help other people in doing so, having correct knowledge about the human body, and how it responds to exercise, will lead to the fastest and most sustainable results. What constitutes real cardio-vascular training? Answering this question takes of-set in the physiology of the human body and digs into the research that cements the fallacy of current beliefs about “cardio”. 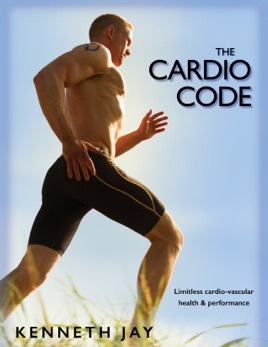 The book should be viewed as an introductory “light-weight” textbook to cardio-vascular training, how it is done correctly, and the effects on the body it imposes. By going over the current scientific literature, distilling it, and putting it together with established physiological knowledge, I have tried to provide a framework from which you can test, design, optimize, and plan real cardio-vascular training and get all the benefits of increased heart health, longevity, and vitality in conjunction with all the performance benefits of increased power-endurance, recovery ability, stamina, fat burning capability, and insulin sensitivity. Whether you are a recreational athlete, a high level sports performer, a stay-at-home mom, or a keyboard athlete, there are tremendous benefits of exercising your heart, but you have to do it correctly! This book will show you how. Your heart is the most important muscle in your entire body. Give it the attention it deserves. Here is the truth about cardio-vascular training!